Francesca Fisher is the founder and creator of the Geri-Fit® workout and the Executive Director of the Geri-Fit Company (gerifit.com), a strength training exercise company that specializes in senior fitness program licenses, dvd products, and accredited instructor training programs. 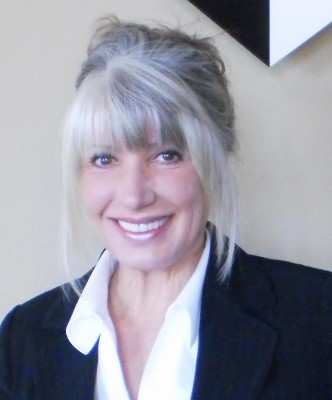 Ms. Fisher has actively been involved in the fitness industry for over 30 years. Prior to starting her first exercise company in 1984, Body Sculpting, Inc., Ms. Fisher studied Business Administration at Cleveland State University. Body Sculpting, Inc. offered exercise classes at parks and recreation centers, Fortune 500 companies, hospitals and senior centers throughout a nine county region in northern Ohio. Over 200 locations offered the company’s strength training exercise programs that were taught by 240 highly trained and certified Body Sculpting™ instructors. Recognizing the increasing need for safe and effective elderly exercise programs, Ms. Fisher decided to form a spinoff of the Body Sculpting company and formed the Geri-Fit Company in 1994. Body Sculpting, Inc. was sold in 2008 and in 2011, the Geri-Fit Company’s headquarters relocated from Ohio to southern California. A forerunner in the senior fitness industry since the early 90’s, Ms. Fisher and her advisory team developed an impressive array of strength training videos which are now sold worldwide. The company also sells fitness program licenses to instructors and facilities that want to offer the Geri-Fit® evidence-based strength training exercise program to older adults. In 2012, Geri-Fit became a Medicare insurance-based exercise program for older adults and is now covered under health insurance plans throughout the U.S. 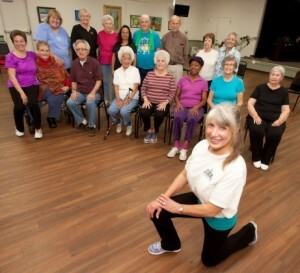 In 2013, the National Council on Aging and the Administration on Aging recognized the Geri-Fit exercise program at meeting the highest criteria and awarded it a Title IIID status as an evidence-based disease prevention fitness program for older adults. So that consistent standards would be met wherever a Geri-Fit class is offered, the company developed accredited instructor training programs including Geri-Fit® Instructor Certification, and Advanced Strength Training Techniques for Older Adults. This assures instructors will learn the special needs of older adults so that they can deliver safe and effective exercises aimed at building back lost strength, improving balance, and increasing functional capacity. The company’s live instructor-lead training programs and online courses are accredited by the National Strength and Conditioning Association (NSCA), and the American Council on Exercise (ACE). Ms. Fisher has presented her programs and methods to several prestigious organizations including the President s Council on Physical Fitness and Sports, the United States Weightlifting Federation, the National Parks and Recreation Association, the Cleveland Clinic Foundation, Akron General Hospital, MetroHealth General Hospital, the National Council on Aging, and the Centers for Disease Control and Prevention (CDC). In 1998, Ms. Fisher was chosen as Cleveland’s Top 10 Women Business Owners by the local chapter of the National Association of Women Business Owners and, that same year, she was presented with the Lifetime Achievement Award by the International Weightlifting Association for developing the Geri-Fit strength training workout for older adults. In February 2014, the Geri-Fit Company was chosen as the Best Emerging Business by the EDC of southwest California. Francesca Fisher is a certified senior strength training specialist, a former semi-pro international competitive bodybuilder, a published author, and she is considered an authority in senior fitness programming. She has been featured and quoted in numerous national magazines and newspapers such as Glamour, Body Wise, Muscle Training Illustrated, Fitness Management, Crains Cleveland Business, USA Today, AAA, Healthsense, and others. She is also a free lance writer and a frequent presenter at conventions and trade shows. Francesca resides in Temecula, California with her husband Carl Fisher, an IBM storage specialist and contemporary marble artist. Learn more about Geri-Fit at their website.